Jungle Red Writers: Where is Huguette Clark? ROSEMARY: Huguette Clark may not be as famous as Brooke Astor, another fabulously wealthy centenarian, but her story is starting to percolate in Connecticut and in Santa Barbara, where she owns two palatial estates that she's either never lived in or hasn't visited in over 40 years. That's in addition to the 42-room apartment on Fifth Ave.
Ms. Clark has recently moved into an undisclosed medical facility in New York. And, as you might expect, enormous, questionable gifts and payouts to lawyers and faithful employees have got some relatives scratching their heads. 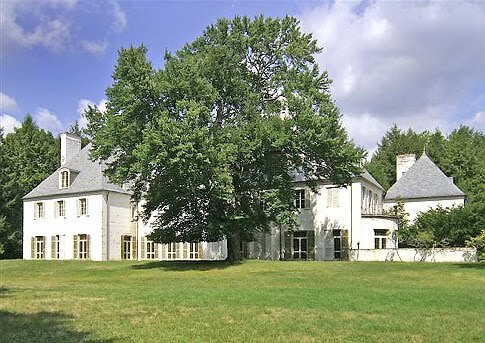 Reclusive for decades, Huguette Clark has abandoned her wildly valuable properties, which remain empty but well-tended by staff. A life of incredible privilege took a bizarre turn with the death of her mother - and Clark traded in aristocracy for eccentricity. "Everything stopped for her when her mother died," Andre Baeyens, Clark's grand-halfnephew, told NBC's "Today" show... "She didn't want to go out. She didn't want to have beautiful things, no, no. She just wanted to be home and play with her dolls." She was obsessed with dolls.. once she flew a doll first-class to Paris with her personal physician along to ensure its safety, the "Today" report said. She inherited her fortune from her father, William Clark, a U.S. senator and Montana tycoon who made a killing from copper mines, railroads and Las Vegas property. Her birth raised eyebrows in high society because her father - the second-richest man in the U.S. at one point - was 39 years older than her mother and no marriage license was recorded. She's amassed a real estate portfolio that would make Donald Trump blush. If I wasn't already knee-deep (should be waist-deep, but I'm not) in my next book I would take a crack at this story. What do you think? What story would you write with this beginning? Hank, you're right! That photo is haunting and the forensic photographer in me is wondering what an age progression would look like. Then the civil court officer in me starts to wonder if she's suffering from dementia and in need of guardianship, or if someone close to her started a drug regimen that led to her eccentricity. Nononononononoooooooo! I have too much going on. Must. Not. Plot!!!! I'd begin when her father meets her mother. 39 years older? That's a story in itself. I want to know more. How old was Huguette when her parents died? How the hell did they come up with her name? I already feel creepy housekeepers looming... good lord, how many years has she lived alone? I'm hoping its the cute, orderly at the Medical facility and that Huguette at least got a roll in the hay before he started bilking her estate. And I'm with Rochelle. Where the the did they come up with Huguette? ANd how is it pronounced?? Rhymes with baguette? I'd guess it rhymes with baguette, the u making the g hard. I'd also guess she's a female version of Hugh? Now I'm wondering where I can put her into one of my future plots. Over the holidays, we finally got around to watching the Howard Hughes biopic THE AVIATOR. So, that's what popped into my head when I saw Huguette's story. What would she have been like had she not veered into isolation? What made her retreat to her dolls? (Sorry, yes, "The Valley of the Dolls" DID just occur to me ::sigh::) Was it childhood conditioning, as with Hughes? Was she an agoraphobic? Would she have been a Brooke Astor-type heiress? Or a Paris Hilton? I know I watch a lot of SF for a mystery fan, so I often think of Alternate Universe possibilities. Yes, the picture is almost Lewis Carroll-like. There are so many jumping off points for a story..the parents' age difference, the lack of a marriage license, the dolls.. I may try to visit the house in New Canaan.. The story is similar enough to my own family's that I've written a blog about it. Enjoy. I am fasinatied my Ms. Huguette Clark. I feel it is more of curiousity for the way she chose to live. How I would love to hear the stories she has to tell. The photos to me are mystical. What was she thinking, how was she feeling, and what would she like to change about the situation. I love the photo of the home, as I see it. It reminds me of what I have read of her: lonely. 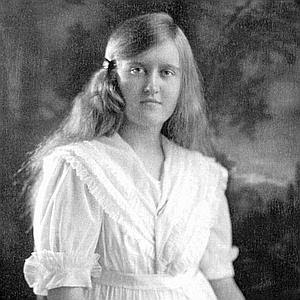 The story of Huguette Clark is one that fasinates me. Some would think of it more as curiousity. I would love to sit and hear her stories of what once was. Her self portrait is not haunting but tells of a young girl who is lonely and starving for friendships. The photo of one of her homes tells me the same thing. I can not judge a person for the lives they choose to live, for I know nothing personal about them, but I can hope for the stories they choose to share so I may better understand. Huguette was named after Hugouets - French protestants who follow Calvin teachings. She was most likely autistic/asperger's --> her history has classic traits: NO desire to be social (not just afraid/shunning), artistic (many paintings in Met), very quiet, VERY few relationships (romantic or regular), very little desire (or ability?) to be separated from her mother or other caretakers, etc. Her dad, Wm.Clark was one of 3 "Copper Kings" here in Montana. Of the three, Clark did have the most "icy" reputation, however he did nothing which other such 'businessmen' did at that time to gain success in a US territory (NO state/national laws). It's amazing, actually, what he accomplished: established the city of Las Vegas, had several mines and mansions built for him and his family all over the world, from LITERALLY nothing he became as rich (or more?) than the wealthiest man in the world (Rockefeller), and more. He did get the 'bad rap' socially (maybe deserved some/most of it), but he was the most successful so one has to admit some of the slander was probably undeserved and borne out of 'jealousy'/'envy'. Would have been nice if just a wee bit of the billions (trillions?) of dollars were returned to the land/community from which his life of luxury began... for this ingratitude, he may partially deserve the "selfish" moniker. OH - yes, Huguette rhymes with baguette: pronounced /ewe GET/. After a little thought, I'm nearly 100% sure they all have some kind of PDD. Her dad, having reputation of being "icy" (poor social skills) and being enormously successful (excellent skills in engineering/finance) showed key traits of one with Asperger's. Always makes me giggle a wee bit when people (such as the Clark family) who have what seem to be poor social skills/acumen, then become one's who are most socially revered (e.g., einstein, mozart, tesla, and many more having traits in the "asperger's/autism spectrum"). I found that to be more helpful well let me know how it turns out! I love what you guys are always up too. Such clever work and reporting! Keep up the great works guys I've added you guys to my blogroll. This is a great article thanks for sharing this informative information.. I will visit your blog regularly for some latest post. Asperger's as a dx for Huguette? I don't think so!! She was known for being warm to her friends and close to her mother. THe hallmark of autism/Asperger's is a LACK of connection to significant others. She could connect---just seemed to be afraid of going out. SOunds like an anxiety disorder to me. There is no one size fits all for individuals on the spectrum for autistic spectrum aspergers. For more information check out Temple Grandin a veternarian. People on the spectrum have sensory processing differences that may interfere with simple tasks. They develop rituals and routines and are rigid with them. They often hoard. Sometimes their oddities isolates them from others. Sensory processing differences get in the way of every day life. Huguette Clark lived in Knoxville, TN under an assumed name from approximately 1984, and was last seen there in 2011 at her adopted son's father's funeral. and companions. The story about her living in a hospital in NY is fabricated to cover up a large theft of app $140,000,000.00 which she gifted to David Herbert Anderson, violinist from Knoxville, whom she believed she had adopted as her son. Mr. Anderson's "handlers" deceived Ms. Clark into believing that David had received the money, mansion, and other properties including boats, sports cars, and jets, while in fact he was never informed of the gifts, and all the money etc. was stolen from him. His "handlers" even fabricated a story that he had died, had a "fake" funeral for him, and used this scenario as justification to steal all the money, sell the properties, etc, while all the while he was still alive and living in Knoxville, totally unaware the Ms. Clark was wealthy, or that she had gifted him a large sum of money and property. In fact, Mr. Anderson apparently thought that Ms. Clark was a "bag lady" of sorts who was stalking him, and he intentionally avoided contact with her. Ms. Clark followed David after meeting him in NY when he was a violin student at the Mannes College of Music in 1979. She had known his Father, Frank H. Anderson, from when he worked at Columbia University in NY. The story that Ms. Clark was a recluse and living in a hospital room from 1980 onward is false. The story was fabricated by the perpetrators of Mr. Anderson's theft to cover up the truth of what really happened, and how Ms. Clark was involved in the largest theft of a personal fortune in US history. Mr. Anderson is still alive as of this date on Oct. 9th, 2016. The theft is currently under investigation.